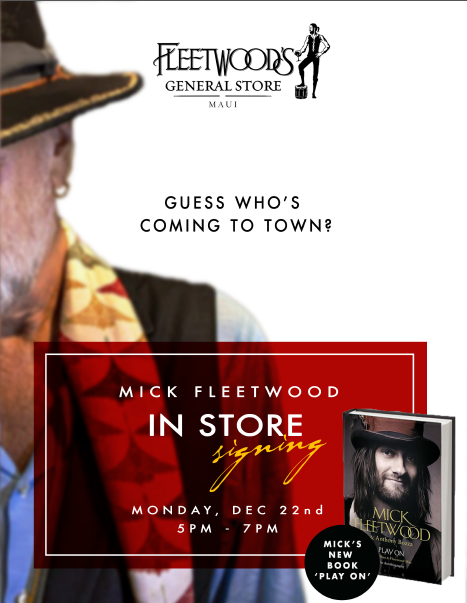 Musician and Maui resident, Mick Fleetwood will be at Fleetwood’s General Store on Front Street on Monday, Dec. 22, where he will sign copies of his new book. Play On: Now, Then, and Fleetwood Mac: The Autobiography, was released in October and tells the story of his life as a musician, playing drums since his teen years, to his long career as co-founder and member of the group Fleetwood Mac. Born Michael John Kells Fleetwood in Cornwall, England, in 1947, Fleetwood now enjoys life on the Valley Isle where his Lahaina restaurant and general store bear his name. The 352 page book takes a look at his life and love of music, as well as the “raucous history” of Fleetwood Mac, and the story behind the band’s longevity and success. The in-store book signing event runs from 5 to 7 p.m. on Monday, Dec. 22, 2014. 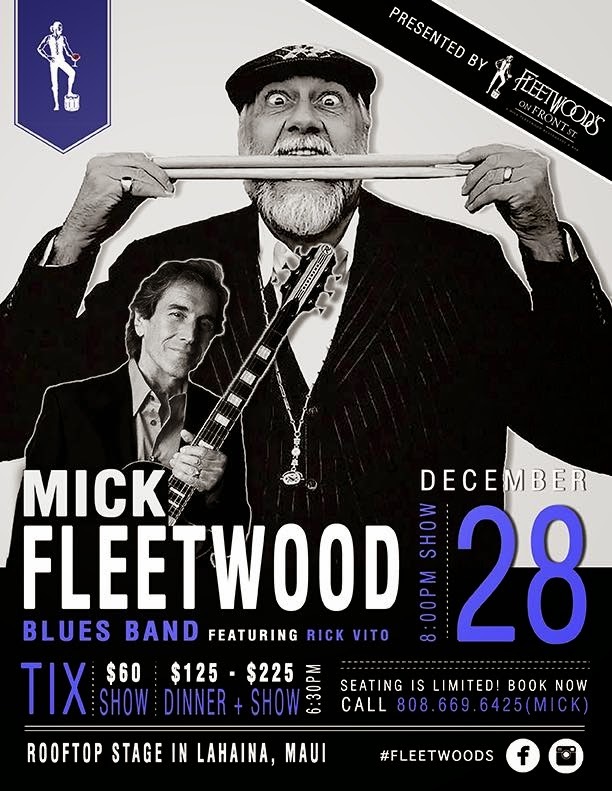 Mick and Rick perform live on December 28th on the rooftop at Fleetwood's on Front St. For tickets, call 808-669-MICK.